ALERT!!!! Florida residents ….. BREAKING NEWS!! 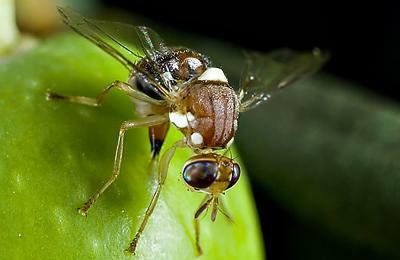 BREAKING NEWS: GM olive fly applications withdrawn in Spain & Brazil. Oxitec, creator of GM flies, is unable to provide evidence of human health and environmental safety. These same concerns apply to Oxitec’s application to release GM mosquitoes in the Florida Keys – yet the FDA doesn’t seem to care. GeneWatch UK today welcomed the withdrawal of Oxitec’s application to release millions of genetically modified (GM) olive flies in Catalonia, Spain. 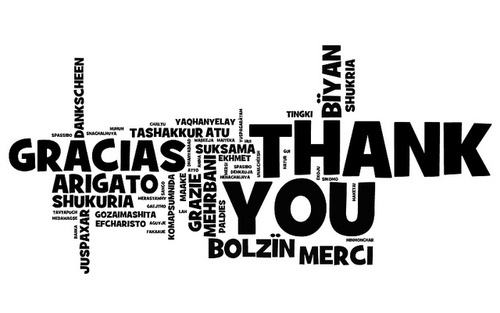 The withdrawal follows requests from the Catalan and Spanish regulators for further information. “Today’s decision shows that regulators are starting to ask important questions about the impacts of releasing GM insects on humans and the environment”, said Dr Helen Wallace, Director of GeneWatch UK, “Oxitec has pulled its application because it does not have the answers to these questions”. 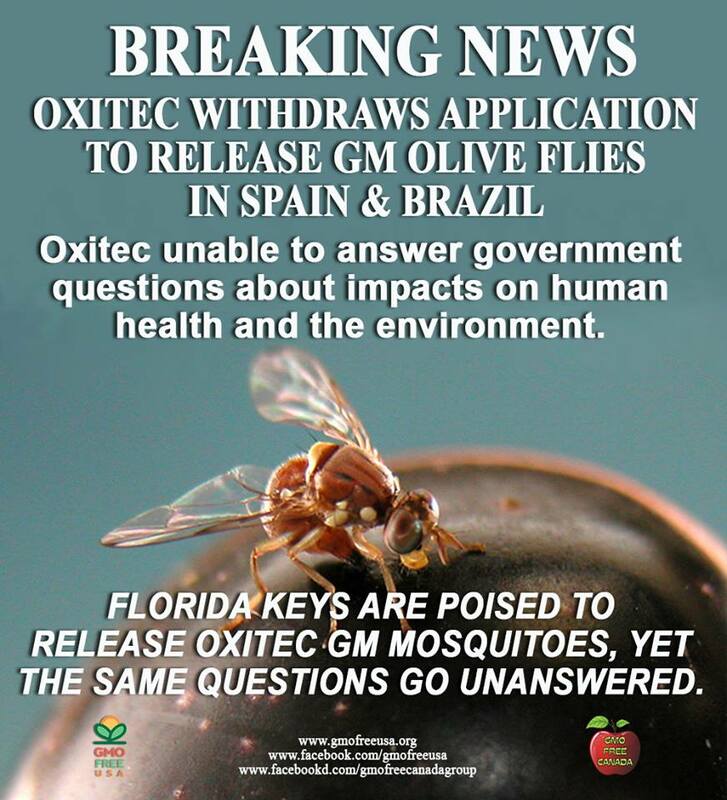 Oxitec’s decision to withdraw its experimental application follows requests from the regulators in Spain for further information about their technology, which involves the release of large numbers of GM olive flies to mate with wild ones. The female offspring of the GM olive flies are programmed to die at the larval (maggot) stage when many will still be inside the olives where the female lays her eggs. Concerns raised by GeneWatch UK include impacts on the food chain and human and animal health of large numbers of dead GM maggots in olives, and the environmental impacts of releasing large numbers of non-native GM flies which cannot be contained. Oxitec’s application to make large-scale experimental releases of GM Mediterranean Fruit Fly (Medfly) in fruit orchards in Brazil was also withdrawn from the agenda of the regulators CTNBio’s December meeting in Brazil last week. This application was submitted to Brazilian regulators CTNBio in January 2013 and will now not be decided until next year. Concerns about large numbers of GM maggots in fruit and the impact on fruit export markets are also likely to be a major issue in consideration of Oxitec’s application to release GM Medfly in Brazil. To help combat a growing mosquito population in Florida, Oxitec has proposed a plan that involves releasing genetically modified male mosquitoes into the Florida Keys so that they will mate with existing females and hatch larvae that won’t live long enough to bite people, the Huffington Post reported. After learning about Oxitec’s plans, Key West resident Mila de Mier set up a Change.org petition to stop the company from releasing the mutant mosquitoes. 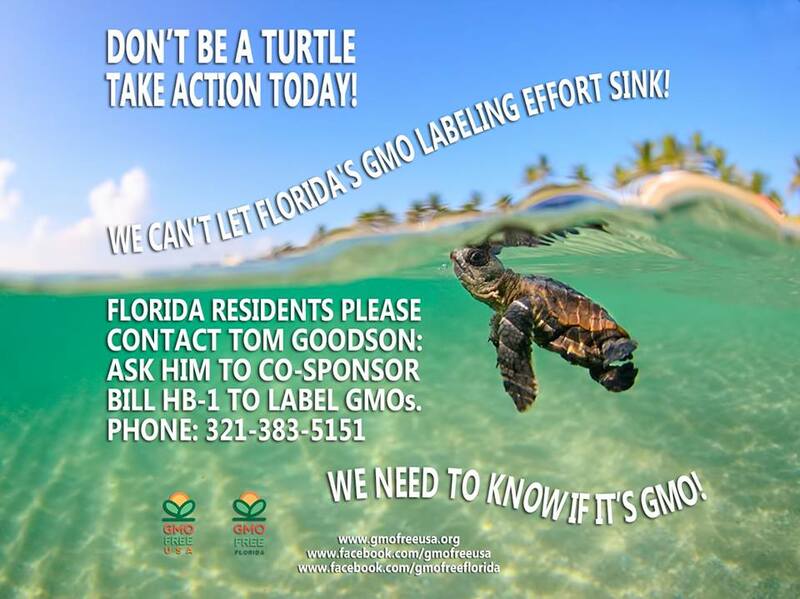 HB1 to Label GMOs needs your support! Contact Tom Goodson, the Vice Chair of the Ag & Natural Resources Subcommittee, and ask him to co-sponsor the bill – because you NEED TO KNOW IF IT’S GMO. If you have time to contact the rest of the committee members and ask them to support, please do that as well. The bill needs more public support for it to pass out of committee. 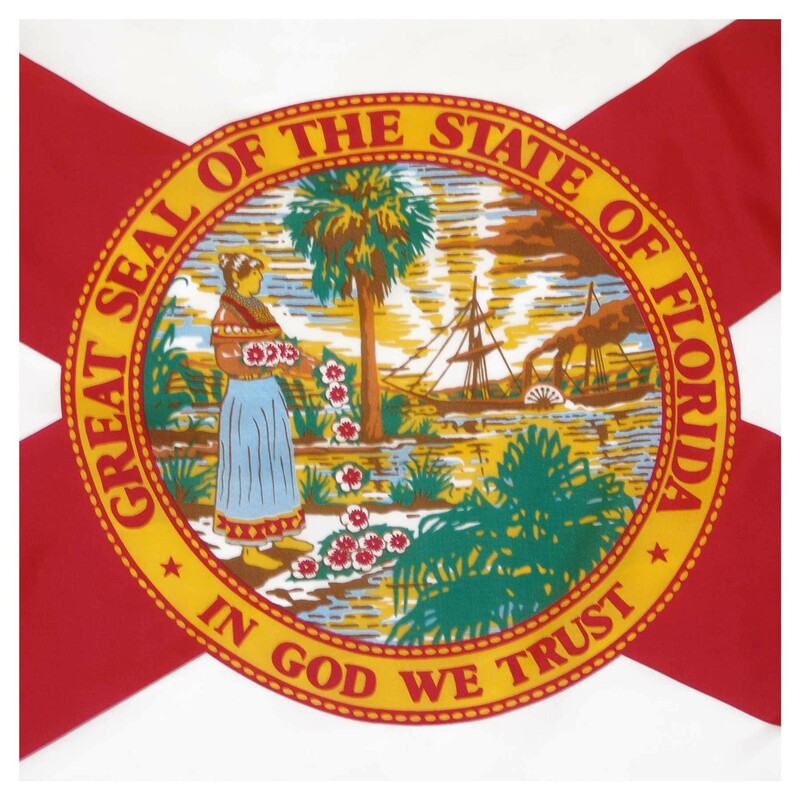 You …can do this, Florida! CONTACT INFORMATION. LET’S GET THIS DONE!! This entry was posted in Equality and tagged Dr Rex Equality News Information Environment Florida residents Alert Breaking news Oxitec Withdraws Spain Brazil Impact on human health and environment Florida Keys Catalan Spanish regulators GM Medit by Dr. Rex. Bookmark the permalink. Throwback post … seems that this will likely happen in Florida …. 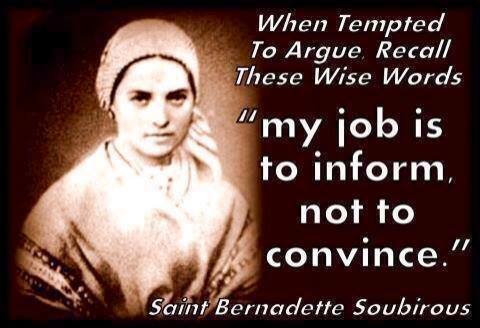 please, read and research! !